The Neutrino Quickpack is a pack of 6 quickdraws. Featuring the Neutrino wire gate biner that has been tried and tested for years, along with a 12cm long 12mm Dynex dogbone. 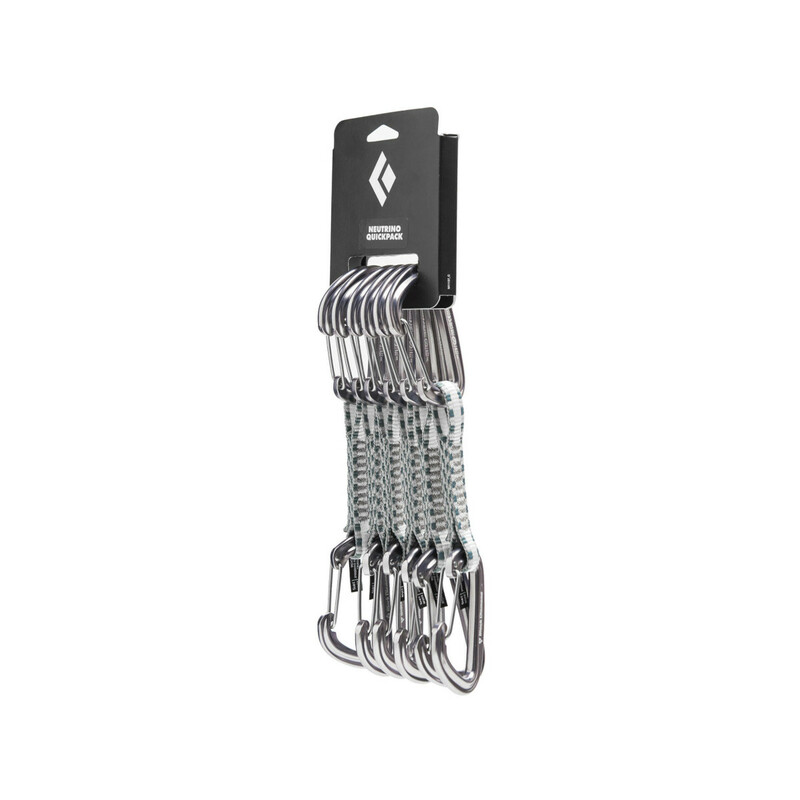 The Neutrino Quickpack is perfect for trad climbing and sport climbing, they are lightweight, strong and a great addition to any climbers rack.